We are here to bring the presence of Jesus into the Lake Conroe area through expressions of love, grace and the verbal gospel. Visit www.conroebiblechurch.org for more information. 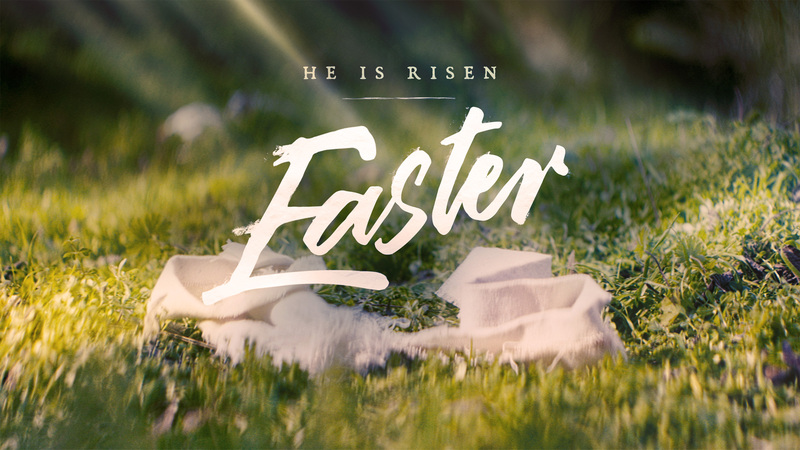 Celebrate the risen Christ! Dave Schneider leads us through multiple Bible passages to help us find an answer to the problem of sin and death. Dave Schneider ends this series with a look back at the relationship between Paul and Demas. Focusing on 2 Timothy 4:10 we see that Demas, once a leader in the early church, had lost his first love for Jesus and had instead allowed his love for this broken world to pull him off his race. Demas stands as a warning for all followers of Jesus to keep their love for Jesus fresh and alive. Paul concludes his second letter to Timothy with heartfelt communication to a true friend. Paul needed help as he awaited execution in a Roman jail, and he knew he could count on Timothy. Dave Schneider calls on us to develop true spiritual companions as we walk in this broken world. Spiritual companions encourage us and help us grow our endurance. As Paul's race comes to an end he desires to encourage Timothy to keep running and fulfill his ministry. Paul can point to his own life as an example of what a life given fully to Jesus looks like. Matt Ward considers three ways we can finish well from Paul's model in 2 Timothy 4:6-8. Paul charged Timothy to preach the Word! What if God were to send you a message charging you to carry out your ministry calling? What would your charge be and how would you carry it out? Are you prepared and ready for action? Matt Ward directs our thoughts toward these questions as we spend time in 2 Timothy 4:1-5. Holy Living in a Broken World: Remember The Word! Dave Schneider directs our thought toward the purpose and power of the Word of God in this message from 2 Timothy 3:14-17. Paul wanted Timothy to remember his convictions and Biblically empowered life change as he fulfills his ministry calling. We need to be in God's Word to live in this broken world! Holy Living in a Broken World: Remember Your Mentors! As Dave Schneider shares this message in our current series from 2 Timothy 3:10-13 we learn the importance of having faithful and Biblically solid mentors in our lives to help us embrace strong convictions as we experience opposition in a broken world. We live in a broken world and so we need to practice discernment when we choose what we will allow to influence us. But at the same time, when our trust is broken we can be pulled into disillusionment, deciding to quit when difficulty arises. Paul warns Timothy that he will experience difficulty in 2 Timothy 3:1-9 and Matt Ward finds four ways from Paul's words on how we can develop discernment instead of drifting into disillusionment. Do you have a heart to be used by God? Paul shares wisdom on how we can be a vessel for honorable service in God's Kingdom in 2 Timothy 2:20-26. Dave Schneider teaches from this passage as we learn what it means to serve in righteousness, faith, love and peace. We must know God's Word to live out holiness in a broken world. Dave Schneider outlines improper and proper ways to do this found in Paul's words in 2 Timothy 2:14-19. Dave Schneider challenges us to embrace faithfulness to Jesus in the midst of hardship in our efforts to announce the good news of the Gospel. In 2 Timothy 2:8-13 Paul encourages Timothy by reminding him that Jesus will ultimately reward those who faithfully serve Him. The Christian life is designed to be both transformative and transferable, but the broken world we live in can leave us discouraged and wanting to quit. Matt Ward teaches out of 2 Timothy 2:1-7 this week as we see Paul cheer Timothy on to continue the work of the gospel, to stay grace strong in Jesus! Holy living in a broken world requires loyalty to God's Word and God's People. Dave Schneider teaches through 2 Timothy 1:13-18 as Paul reminds of Timothy of his need to hold tight to sound teaching and treasure those in the body of Christ who encourage him in ministry. Dave Schneider began our new series on 2 Timothy this week with an emphasis on "Purposeful Discipleship." These are Paul's last words to his "son in the Spirit," Timothy, and even in the first seven verses we see a careful consideration given to Paul's love for Timothy. We also need to pay attention to those on our faith journey that God has called us to love. Happy New Year! In this season of self reflection, Matt Ward teaches through 2 Cor. 5:16-21 as we seek to understand what it means to be a New Creation in Christ. Dave Schneider wraps up our Advent Exchange sermon series with "Love All." Jesus gives very clear expectations of how His followers are to live out their faith in Matthew 25:31-46. The least and the lost are at the very center of God's heart throughout the Old and New Testaments. When we put Jesus at the center of our Christmas celebration we find the needed margin to love the least. What does it mean to "Spend Less and Give More?!" It seems like a contradiction, but it really is all about relationship. Jesus was given as a priceless gift for our salvation, all for the purpose of re-establishing a broken relationship. We too can model our gift giving after God's gift. We can Give More of ourselves, Give More of what matters most. Dave Schneider teaches from John 1 in this third week of our Advent Exchange series. In our second week of the Advent Exchange, Dave Schneider takes us to Matthew 6:19-21 as we consider what it means to be eternally minded in our Christmas gifting. "Spend Less" doesn't mean we love less, but that we value the relationship over thoughtless shopping. We are encouraged to Prepare, Pause and Pray as we check off our Christmas gift list. We are inundated with messages during the Christmas season that seek to steal our hearts from our true source of life and joy. False idols claiming life satisfaction are set before us clamoring for our worship. Dave Schneider begins "Advent Exchange" by guiding us through Luke 4:16-30 as we seek to "Worship Fully" this Advent season. Join us over the next three Sundays leading up to Christmas as we exchange our culture's version of Christmas for a time that is truly centered on Jesus as we Worship Fully, Spend Less, Give More and Love All! If someone were to write a song based on your life what kind of lyrics would it include? Would your be a song of thanksgiving to God for His works in your life? Matt Ward leads us through Psalm 145:1-13 as we seek to write gratitude into our life song.